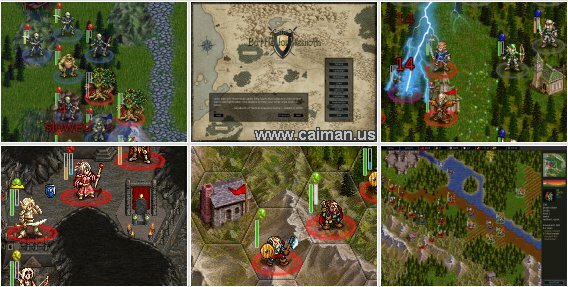 Caiman free games: Battle for Wesnoth by David White. A very nice turn-based strategy game. Single / multiplayer. 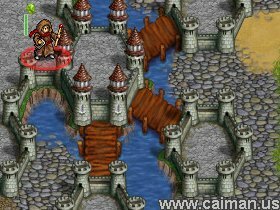 A game with a fantasy theme. Many races, units, mods/addons, campaigns etc..
Fight to regain the throne of Wesnoth, of which you are the legitimate heir, or use your dread power over the Undead to dominate the land of mortals, or lead your glorious Orcish tribe to victory against the humans who dared despoil your lands ... Wesnoth has many different sagas waiting to be played out. You can create your own custom units, and write your own scenarios or even full-blown campaigns. You can also challenge your friends or strangers and fight in epic multi-player fantasy battles. Many languages: English, German, Chinese, Czech, Danish, French, Galician, Hungarian, Italian, Polish, Russian ans Swedish.